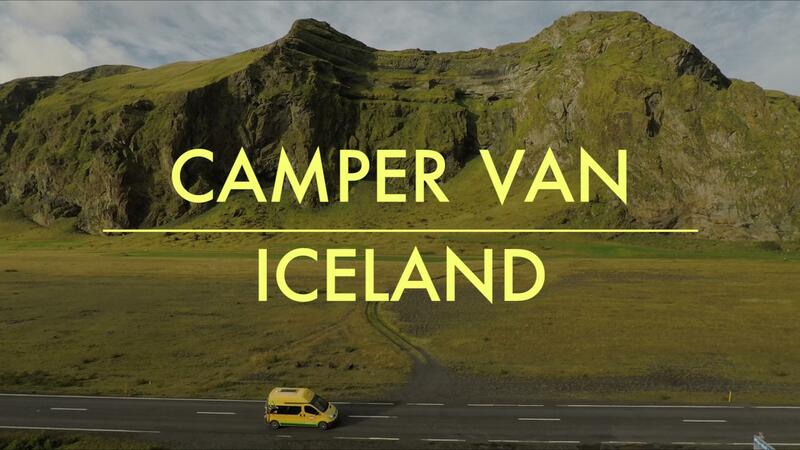 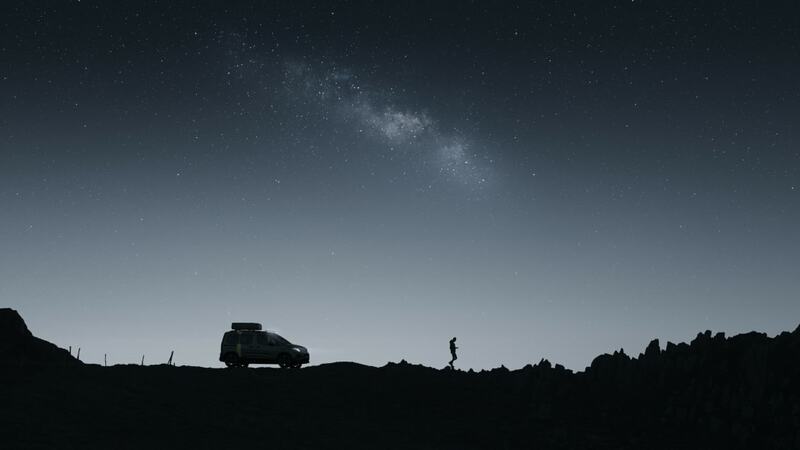 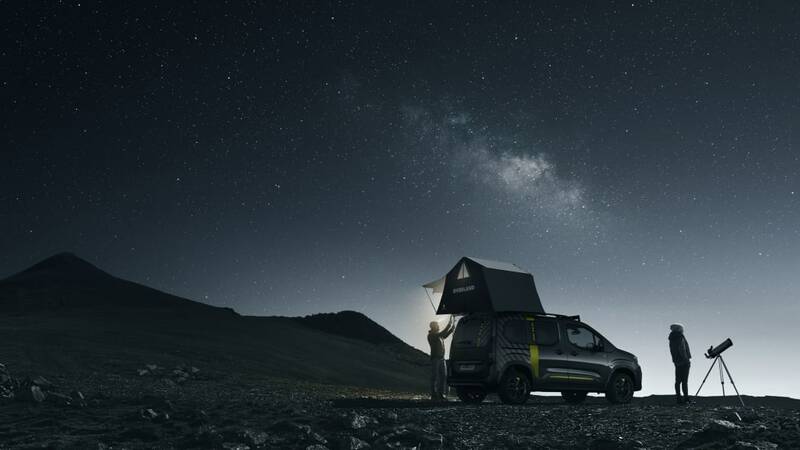 Overlanding and camper vans hold a special place in our hearts. 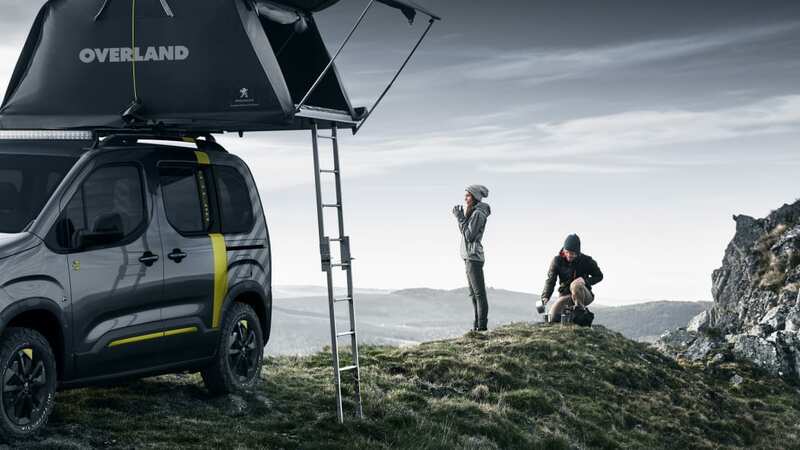 Whether it's something new like the Volkswagen California XXL or something classic and rugged like a Japanese-market Mitsubishi Delica, our eyes and ears always perk up when we see one. 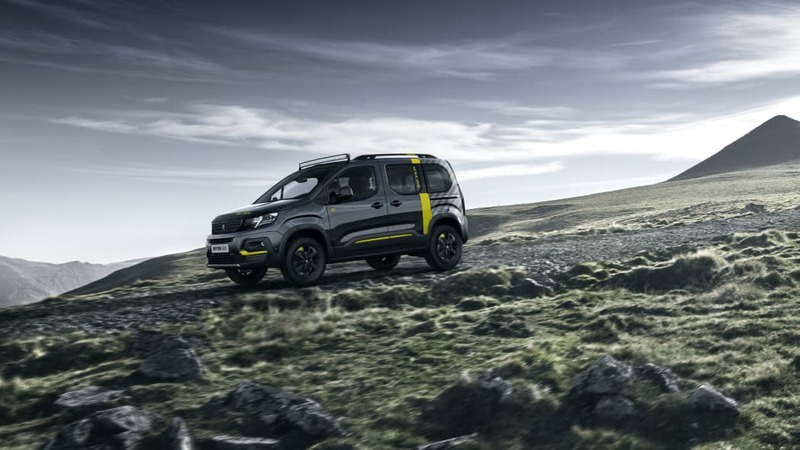 Last year's Geneva Motor Show saw the debut of the Citroen SpaceTourer 4x4 E concept. 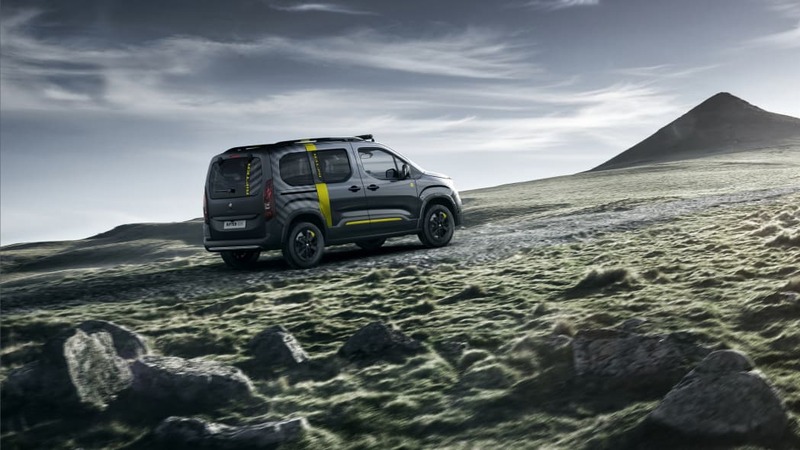 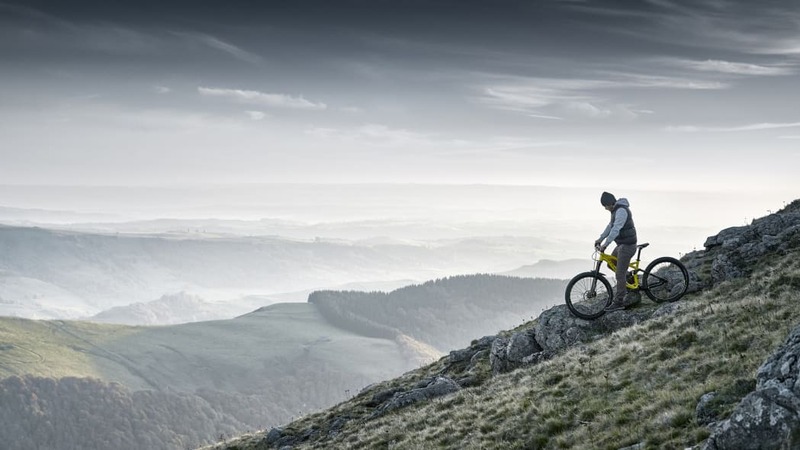 PSA is following that up with the new Peugeot Rifter 4x4. 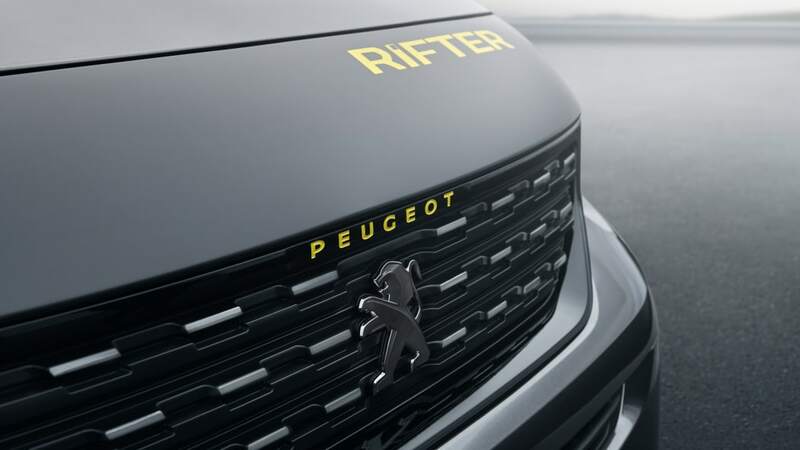 We're already trying to figure out how to convince Peugeot to ship it to Detroit. 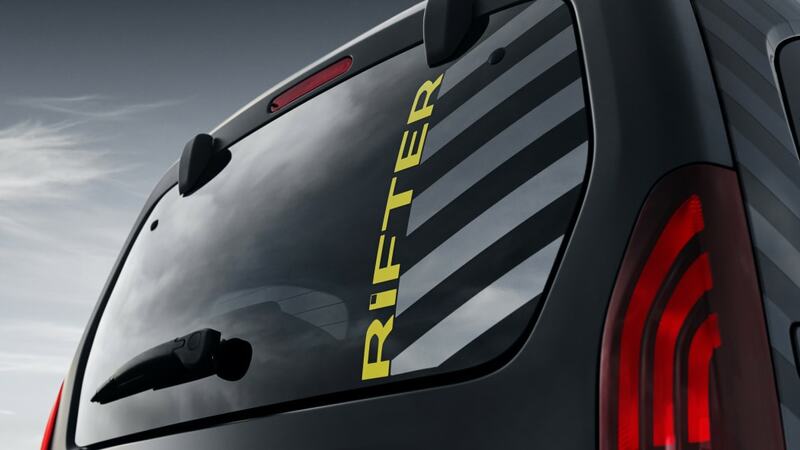 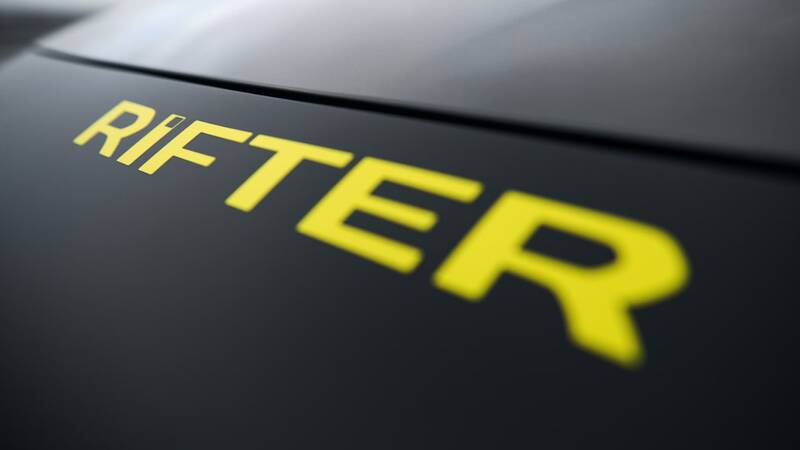 The Rifter is based on a new PSA platform that is shared with the Citroen Berlingo and Vauxhall Combo Life. 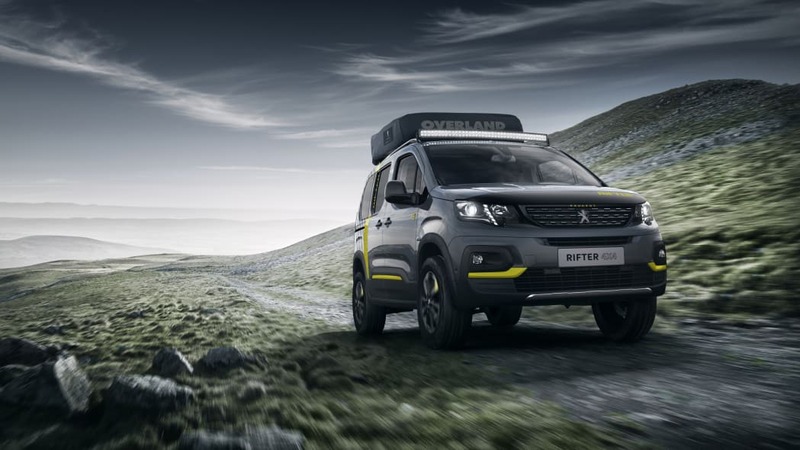 The concept takes that new MPV and upfits it for off-roading and overlanding. 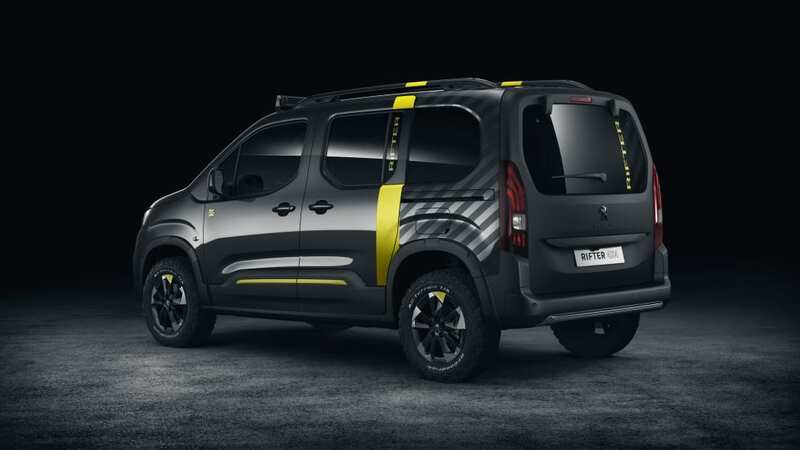 It even comes with a Peugeot eM02 FS Powertube electric mountain bike attached to the rear. 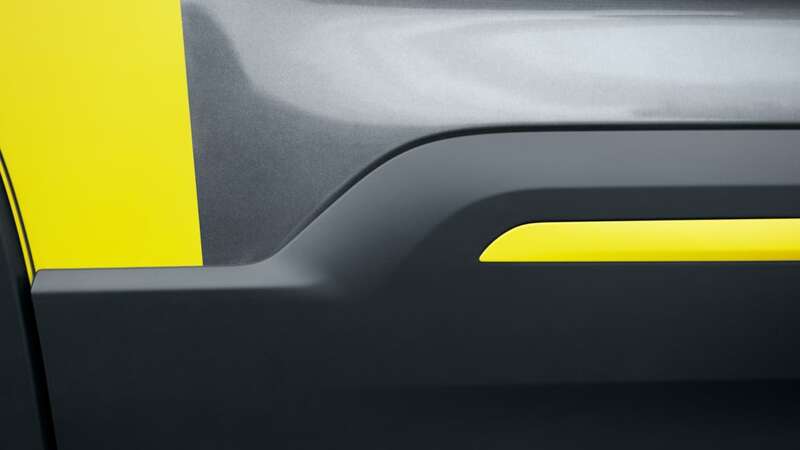 The latter has a battery that's integrated into the frame. 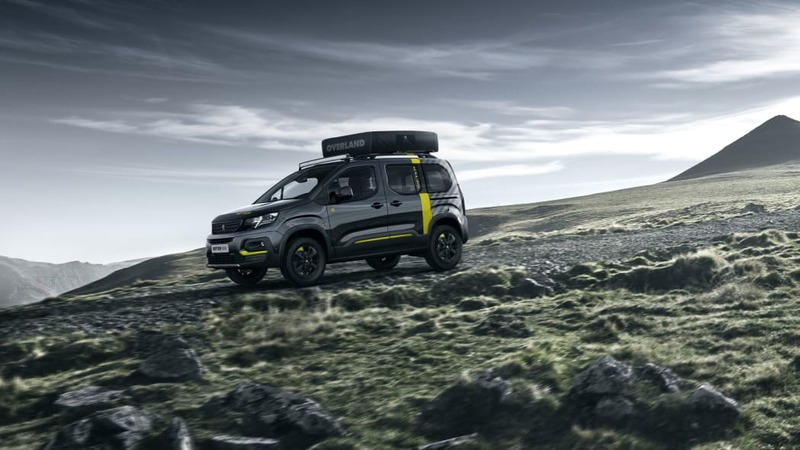 The Rifter 4x4 Concept is done up in a dark grey finish with matte yellow accents on the fog lights, doors and badging on the grille and wheels. 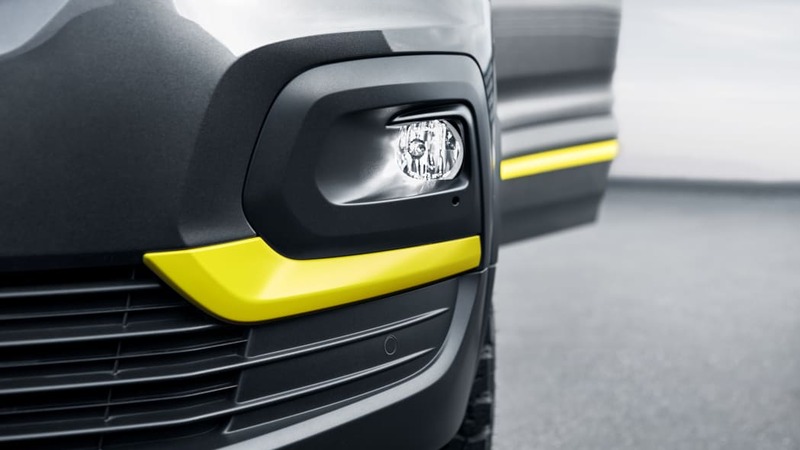 The grille and tailgate are both finished in matte black. 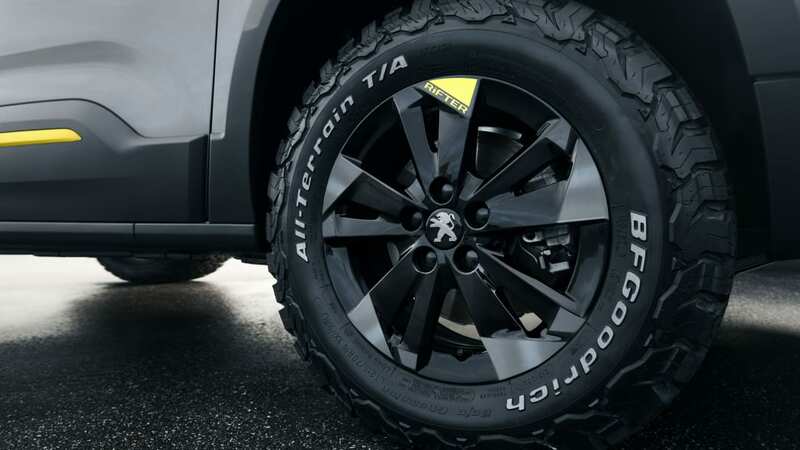 The mirrors, roof bars and 16-inch wheels are painted what Peugeot calls Onyx black. Inside, the black, grey and yellow theme continues. 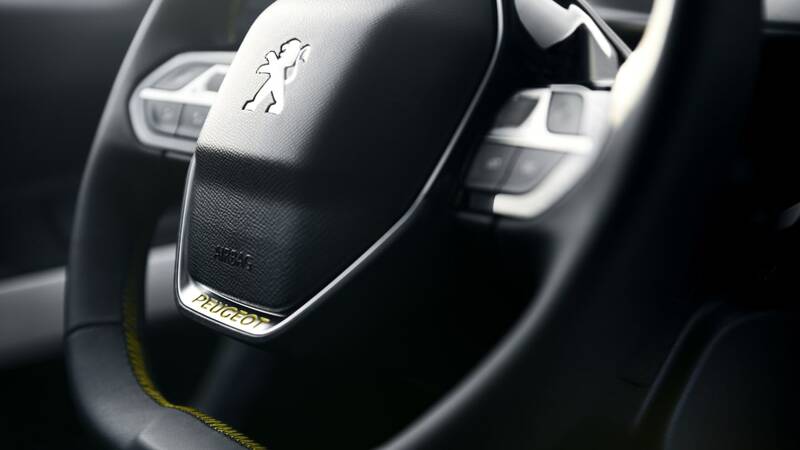 The black seats have yellow stripes, stitching and badging. 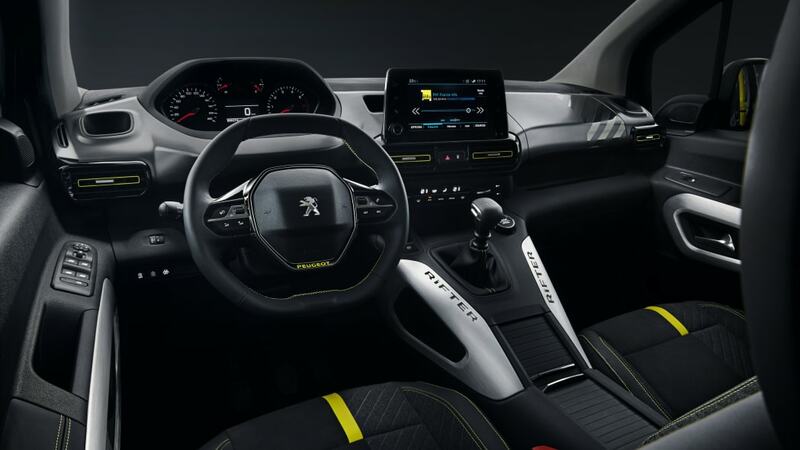 There are yellow accents on the vents, steering wheel, shift boot and doors. 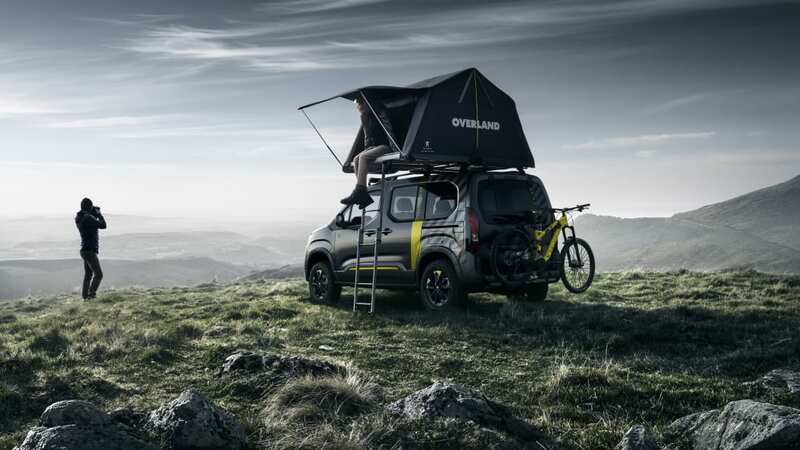 The concept features more than just a few visual accoutrements. 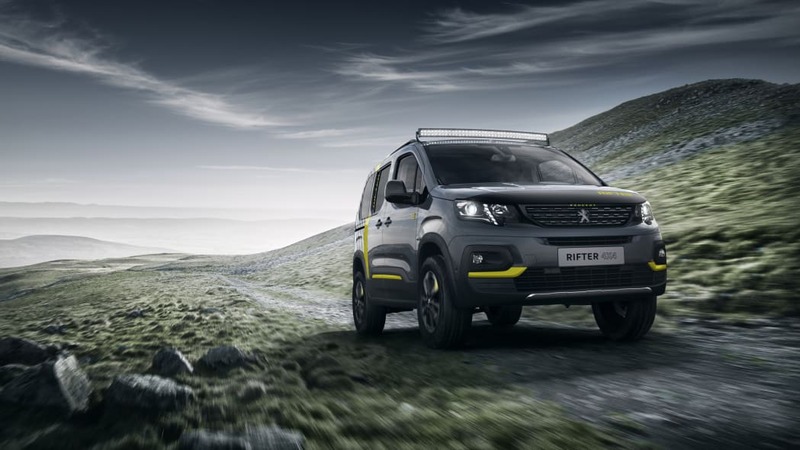 As the name implies, the Rifter 4x4 Concept has a full four-wheel-drive system. 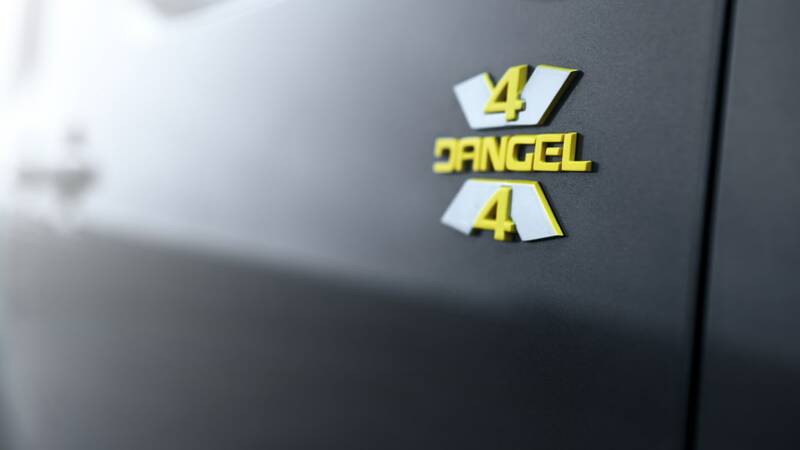 The system was designed by Dangel, a French company that's been adding four-wheel-drive systems to Peugeots and Citroens since 1980. 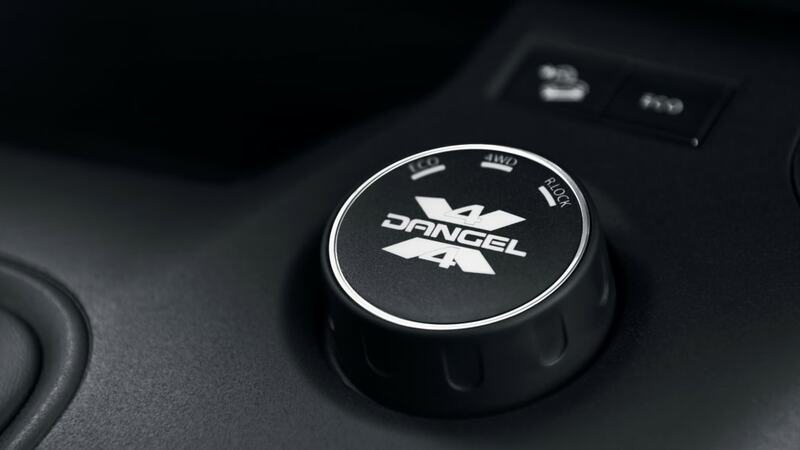 The system uses viscous coupling and has three drive modes via a dash selector. 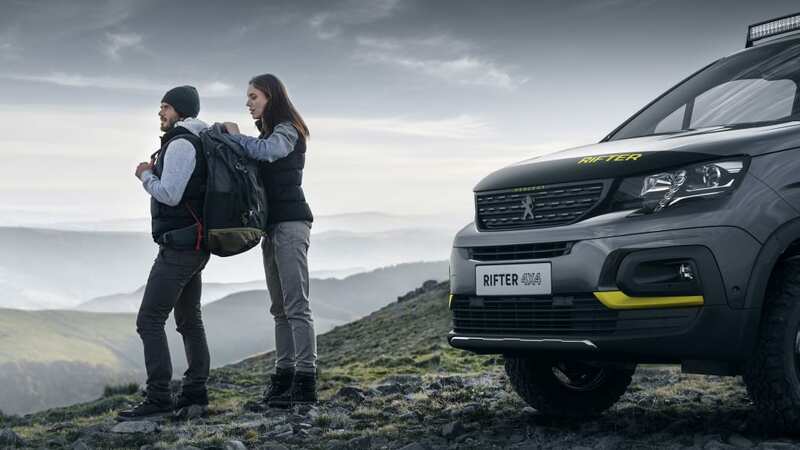 2RM puts the car in front-wheel drive, 4RM sends power to the rear axle when needed, and Lock puts the Rifter in full four-wheel drive. 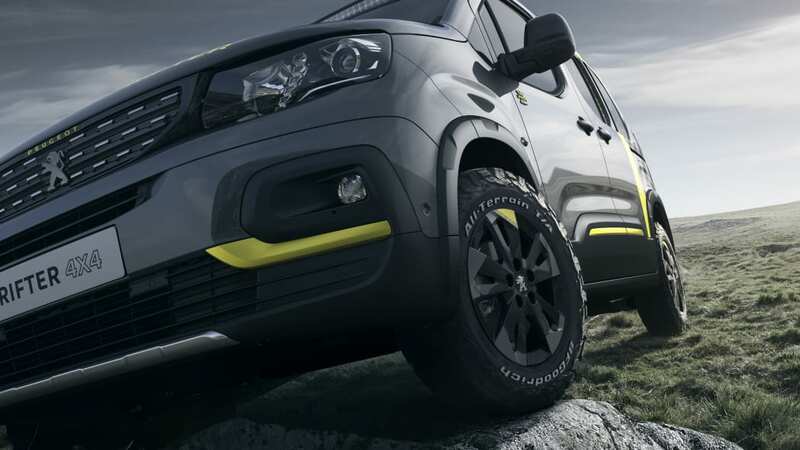 The Rifter's ground clearance has been raised by 80 mm and is fitted with BF Goodrich all-terrain tires. 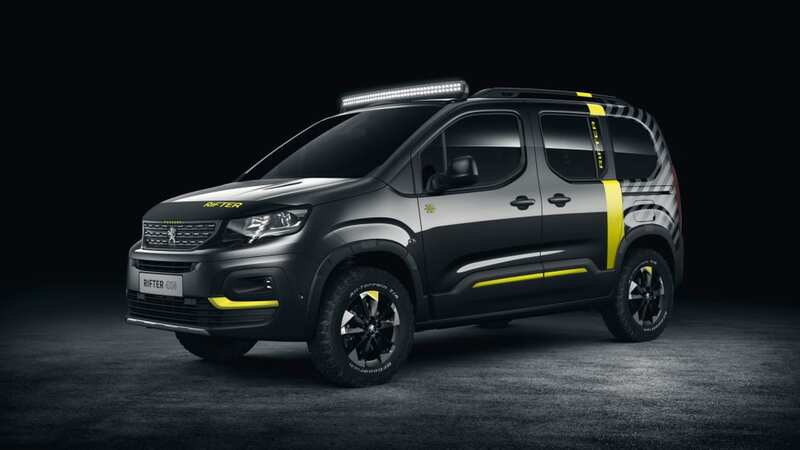 Its 1.5-liter diesel engine sends power to the wheels through a six-speed manual transmission. 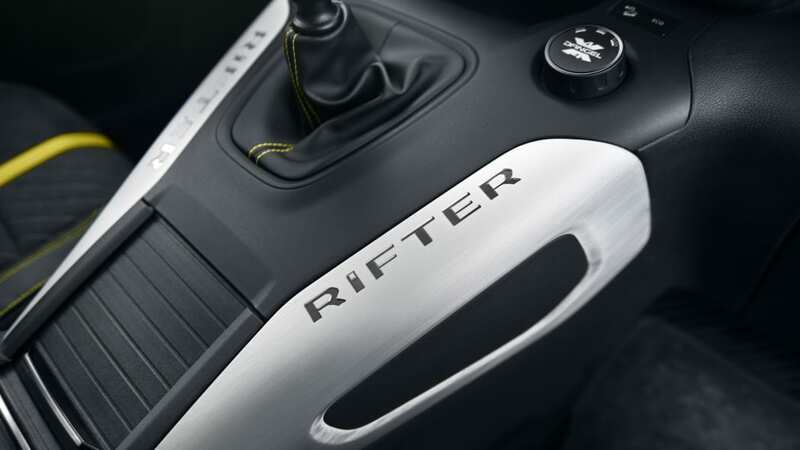 Horsepower isn't listed, but the engine makes 221 pound-feet of torque. 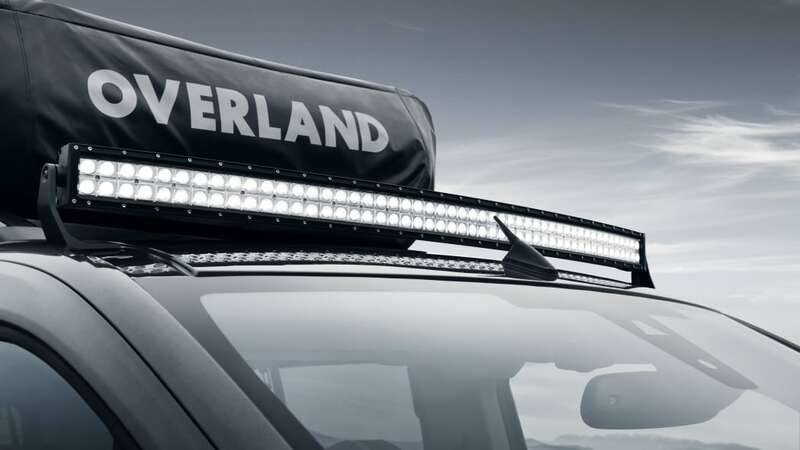 There's a 300W LED light bar mounted above the windshield with two 50-light strips. 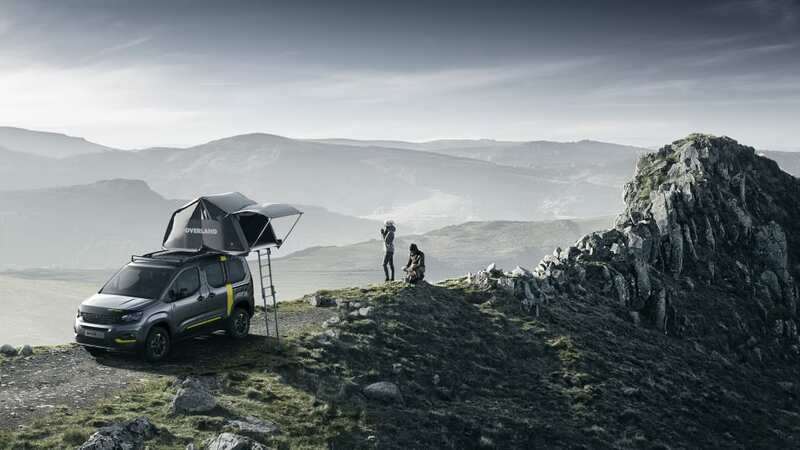 An Autohome tent has been mounted to the roof. 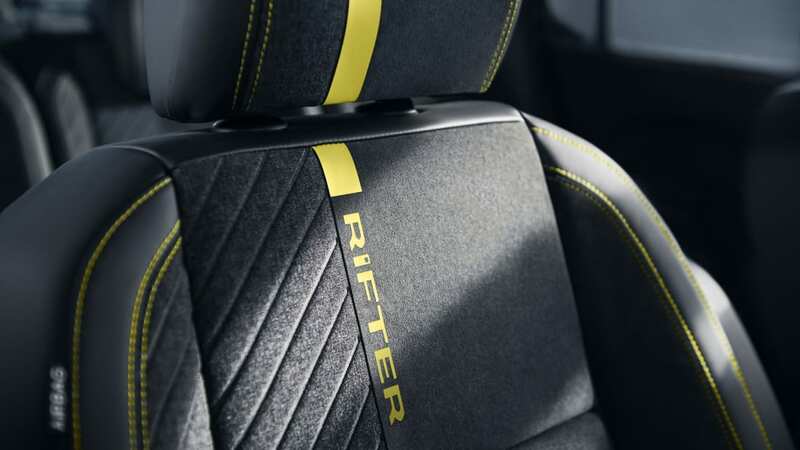 Inside the tent is a mattress that has the same yellow accents as the Rifter's seats. 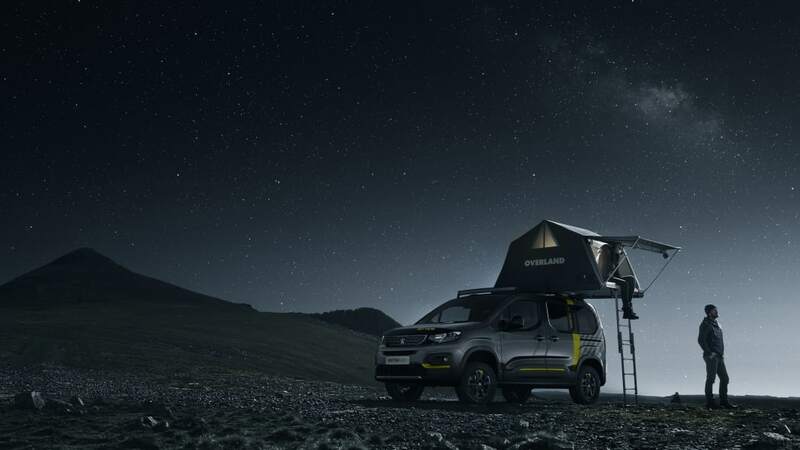 We'll see if we can get inside when we head to Geneva in just a few weeks.